The first destroyer vessel in the Izumo-class, JS Izumo (DDH-183) was commissioned into the JMSDF service in March 2015. Image: courtesy of Dragoner JP. JS Izumo was launched in August 2013. Image: courtesy of Guntai Channel. 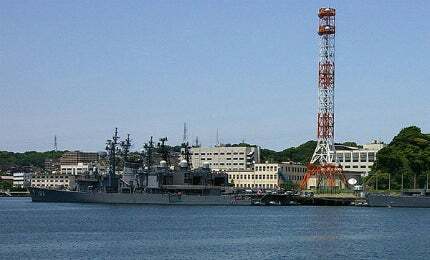 The Izumo-class destroyers are built at Yokosuka ship yard. Izumo-class, the largest surface combatant in Japan, was put into service with the Japanese Maritime Self Defence Force (JMSDF) in March 2015. The Izumo Class destroyer ships replace the Hyuga-class destroyers, which were commissioned in March 2008. The vessels can be used for multiple purposes, including anti-submarine warfare, command-and-control operations, humanitarian aid and disaster relief operations, as well as to protect Japanese territories in the East China Sea. Japan Marine United Corporation, which was created by the integration of two companies, Universal Shipbuilding and IHI Marine United, custom-built the two Izumo-class ships at the Yokohama shipyard. The construction of Izumo-class destroyer was conceptualised by the Japanese Ministry of Defense (MOD) in November 2009. JMOD received a budget of 118.1 billion yen for the fiscal 2010 for the construction of a helicopter destroyer. Construction of the first ship in the class, JS Izumo (DDH-183), began in 2011 at Yokohama shipyard. Its keel was laid down in January 2012 and the vessel was launched in August 2013. It was commissioned at Yokosuka port in Japan in March 2015. Investment on the vessel amounted to approximately ¥120bn ($1.01bn). Keel for the second ship in the class was laid down in October 2013, and its launch will take place in August 2015. Commissioning will take place by March 2017. Shirane Class helicopter destroyers are in service with the Japan Maritime Self-Defense Force. Two destroyers built by the Ishikawajima-Harima Heavy Industries (now IHI Corporation) replaced the Haruna Class destroyers. The Izumo-class destroyer has a length of 248m, beam of 38m, draught of 7.5m and depth of 33.5m. Its displacement is 19,500t when empty and 27,000t when fully loaded. It can complement 970 crew and troops, and as many as nine helicopters including seven anti-submarine warfare (ASW) helicopters and two search and rescue (SAR) helicopters. The destroyer features a spacious flight deck that can accommodate five helicopters to take off and land simultaneously. It also includes roll-on and roll-off ramp, and interior space for up to 50 vehicles. Sensors and processing systems fitted to the vessel include OYQ-12 combat direction system, FCS-3 fire control system, OPS-50 AESA radar, OPS-28 surface-search radar, and OQQ-23 bow sonar. "Construction of the first ship in the class, JS Izumo (DDH-183), began in 2011 at Yokohama shipyard." The Izumo-class destroyer is fitted with two Phalanx close-in weapon system (CIWS) guns, and two SeaRAM CIWS launchers. It is also equipped with electronic warfare and decoy systems, including NOLQ-3D-1 EW suite, Mark 36 SRBOC, anti-torpedo mobile decoy (MOD), and floating acoustic jammer (FAJ). The Izumo-class destroyers are propelled by four GE/IHI LM2500IEC gas turbine engines, which generate a power of 112,000hp (84,000kW). They can sail at a top speed of more than 30kn (56km/h). This project forms part of the firm’s recent analysis and forecasts of the global Naval Surface Combatants & Warfare Systems market available from our business information platform Strategic Defence Intelligence. For more information click here or contact the company: EMEA: +44 20 7936 6783; Americas: +1 415 439 4914; Asia Pacific: +61 2 9947 9709 or via email.